Meghalaya, a magical place high in the clouds of Khashi Hills. This is the wettest place on Earth receiving upto 1000 cms of rain every year. It also has one of the best concentration of limestone in India. With all the rain Meghalaya gets it’s natural to imagine the amount of water that flows through its landscape. The combination of all this water and limestone has resulted in the formation of some of the most beautiful and elaborate cave systems in the country. We at LW want to take our Unseen Landscapes photo expeditions to places where no other photographer has been before. 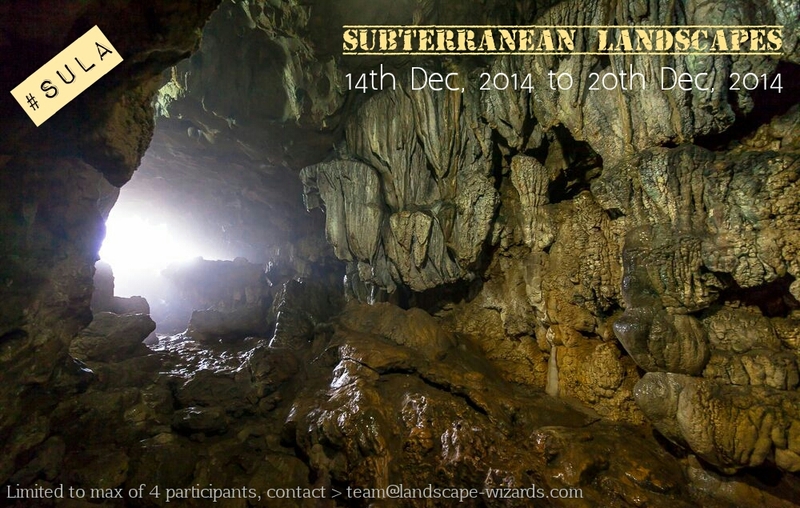 Presenting Subterranean Landscapes where we explore these mysterious and beautiful cave systems from a photography point of view. Photographing the amazing stalactite and stalagmite formations is unlike anything you would have attempted before. The sparkle of the innumerable crystals in the caves have to be seen to be believed. Exploring caves is all about squeezing into some of the darkest crevasses only to emerge out on the other side. We would be shooting in one of the most challenging conditions requiring ultimate perseverance and dedication. The challenges are immense but the rewards are infinite. This is true raw nature, which puts even the fittest and most improvising photographer to test. Taking care of both ourselves and our equipment is LW’s top priority. Caving is a very tough sport both mentally and physically, and coming out with satisfactory images requires immense patience and dedication. This expedition is not intended for Claustrophobics! While we cannot guarantee on the type of images you will get, we can guarantee that you would be involved in “MAKING your Images” and not just taking images. Please come with an open mind to accept the challenges and learnings that accompany such expeditions. Below listed are points we have considered to ensure you have an enjoyable experience in the caves. Warm & waterproof clothing for protection from cold and rains is recommended. We are after all going to the wettest place on earth in winter. Camera kit (Wide angle, macros and flash). A solid tripod is a MUST. 1. How do I confirm my participation to the expedition? 2. How many participants are expected on this expedition? 3. What is your lead time for confirming my participation for the expedition? As we are genuinely concerned about participants’ comfort during the entire trip, we spend a lot of time researching, booking and arranging logistics for you. Hence we encourage your to make your bookings in . We close the slots on first come, first serve basis. 4. I have registered myself to the workshop but due to unavoidable circumstances, I would not be able to make it to the workshop this time. Can I get back the refund of my registration advance? Cancellations to the tour would be entertained only if we are informed TWO weeks in advance ( excluding booking advance of INR 10,000/-). Any updates to us regarding your cancellation from the trip that happens later would NOT be entertained and you will NOT be eligible for any refund if you have made a complete payment. 5. I don’t have wide-angle lens to do Landscape Photography, can you help me ? Travelling expenses from resort to all the places mentioned in the itinerary. Accommodation for 6 nights on twin sharing basis. Breakfast, lunch & dinner for all days including coffee/tea.